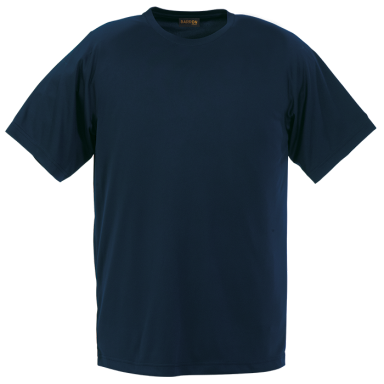 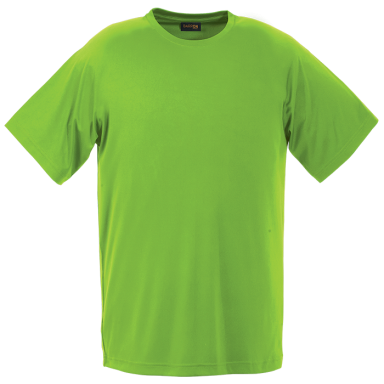 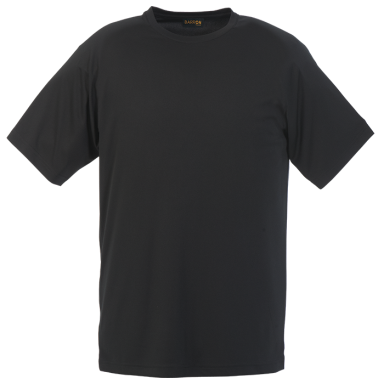 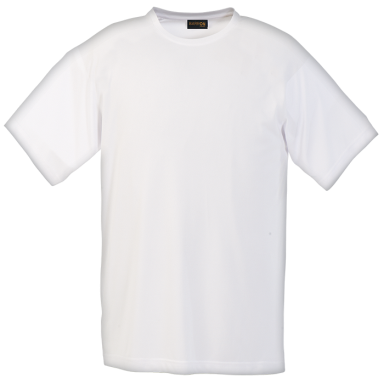 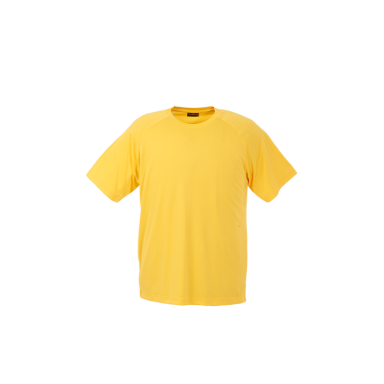 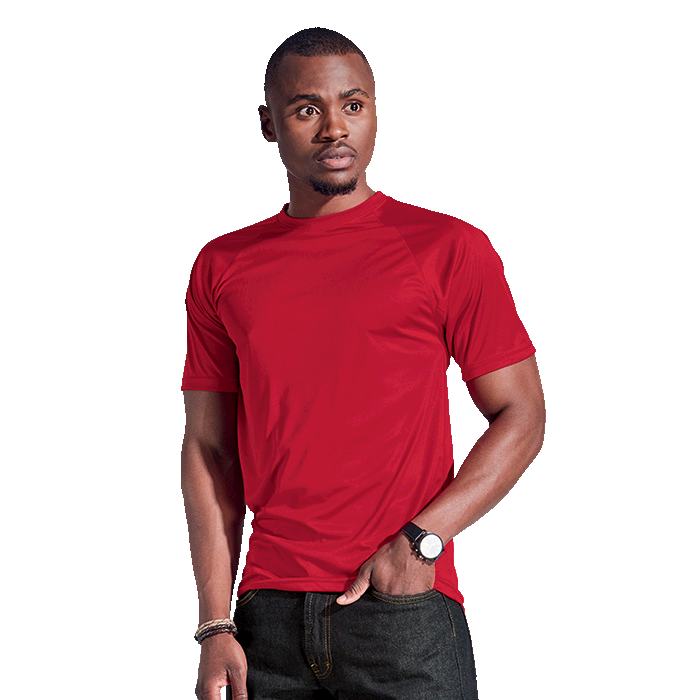 Polyester moisture management t-shirt that is ideal for sublimation print. 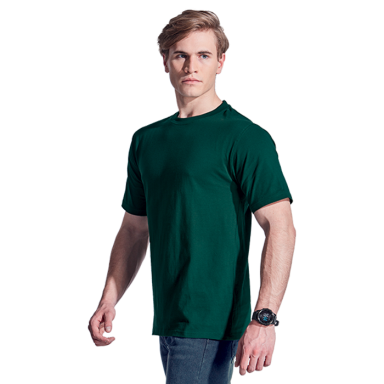 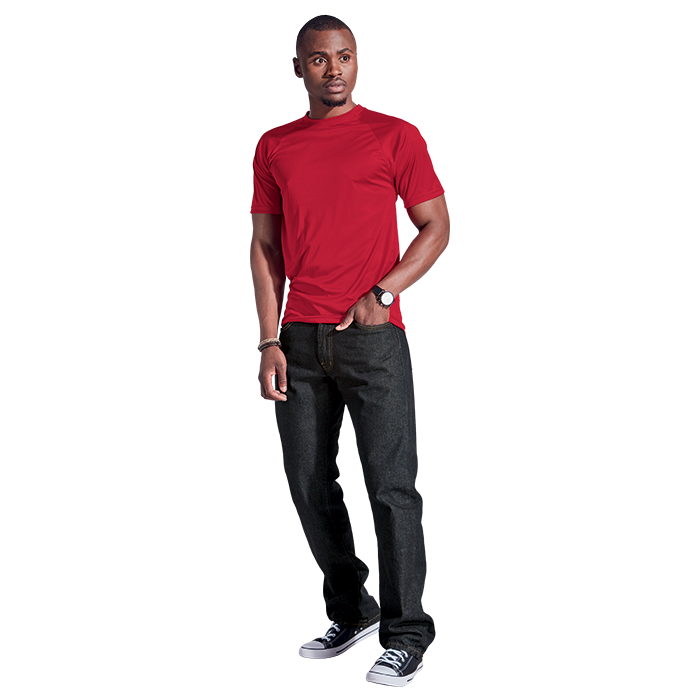 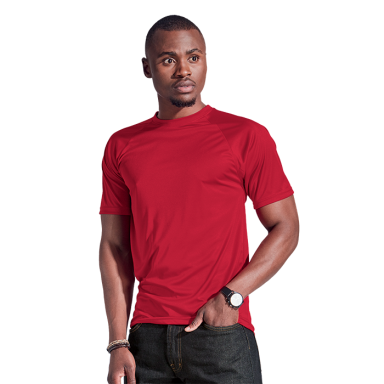 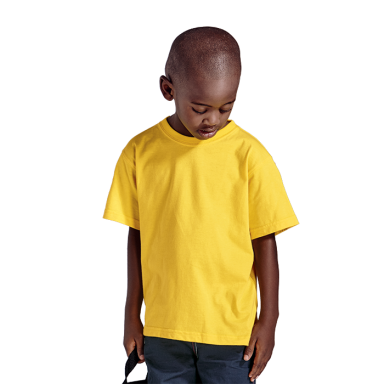 Sporting a crew neckline, double top-stitching on hem and sleeves. 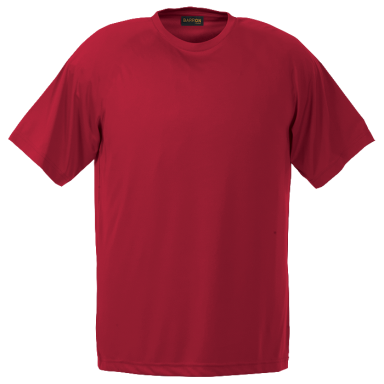 Single stitched, self-fabric neck tape. 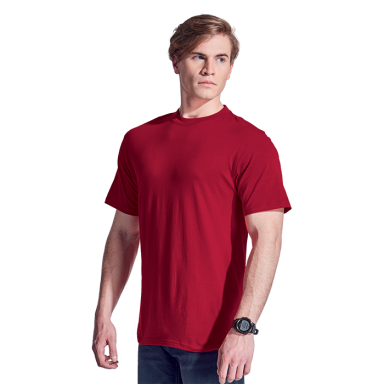 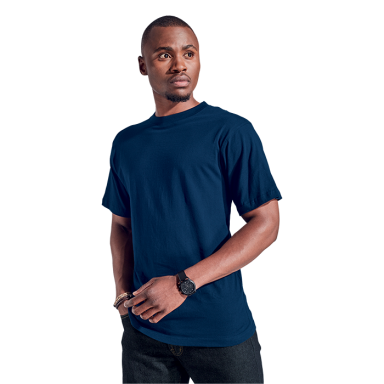 Fitted single top-stitched sleeves. 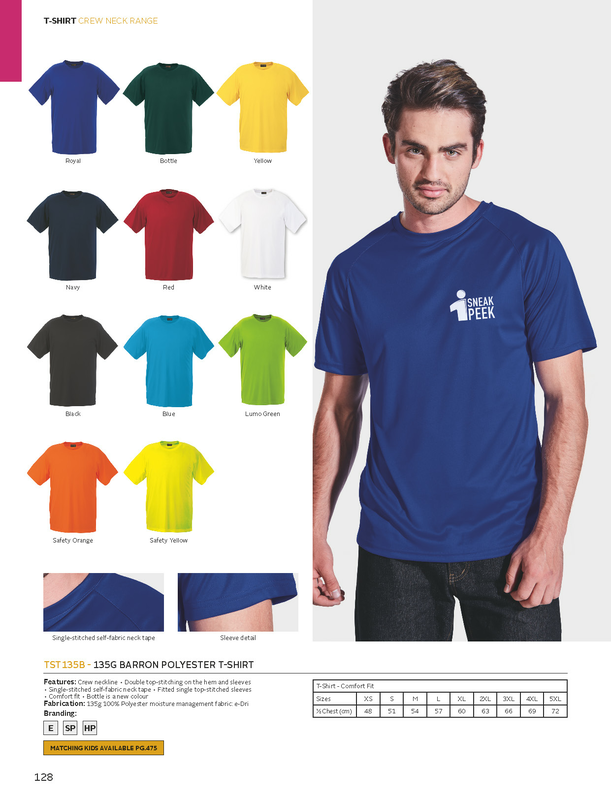 Available in six colours.